Another winner from IBD Just gel. 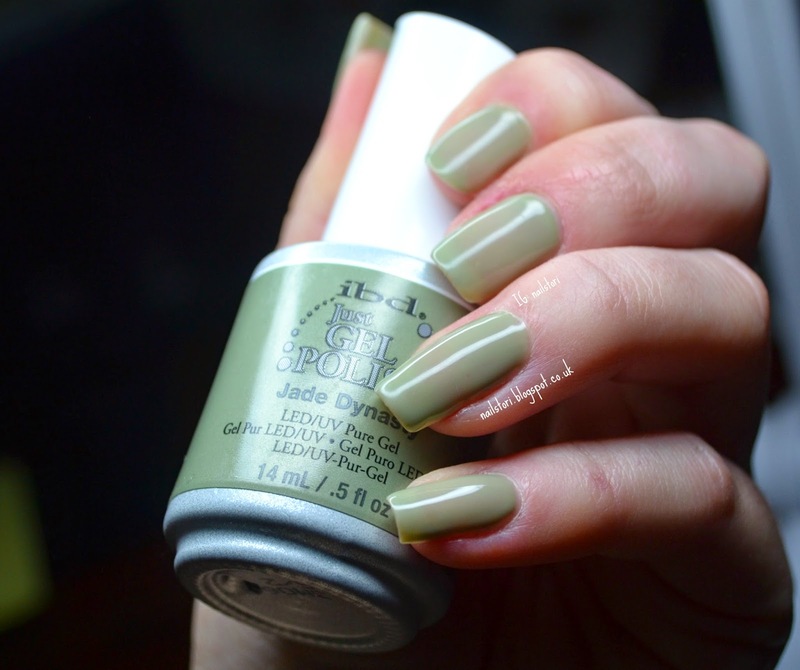 For my weekend away, I wore Jade Dynasty – a lovely light green. This is three coats of colour giving almost full coverage. I like this polish slightly transparent as it is a really pretty and subtle green shade. I always use gels when I know I’m going to be out all weekend leaving no time for nail care. Is it sad that I think that far ahead? Anyway, gels are great for preventing breakage and gives a good strong barrier. These were such a dream to remove as well, so my nails were in such good condition after removal. Ready for some nail art coming shortly! Don’t forget to enter my giveaway ending February 13th. Such a pretty sage! I need to go find a nail polish version! It is such a lush colour! Not so 'in your face' as most greens are!